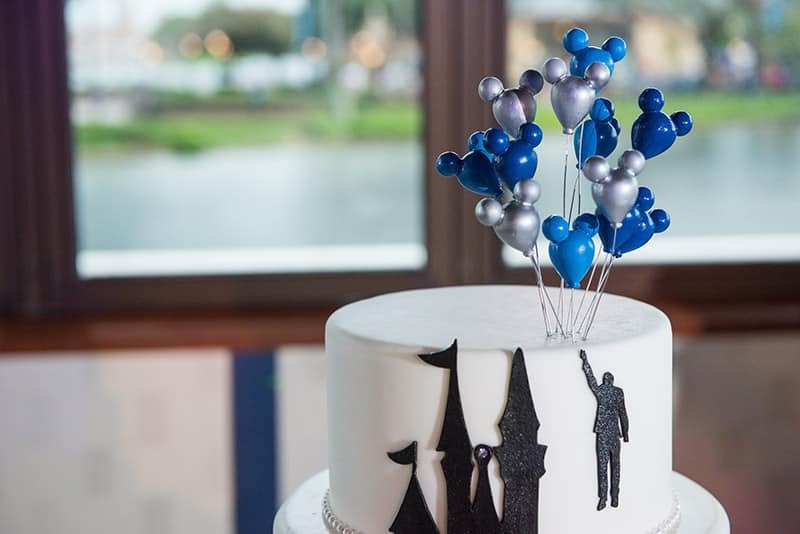 Float away with this week's Wedding Cake Wednesday featuring a creative and charming design. 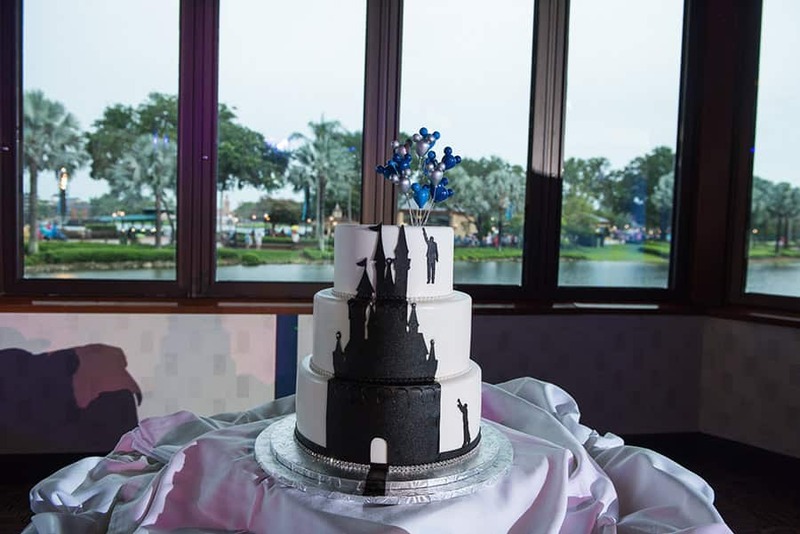 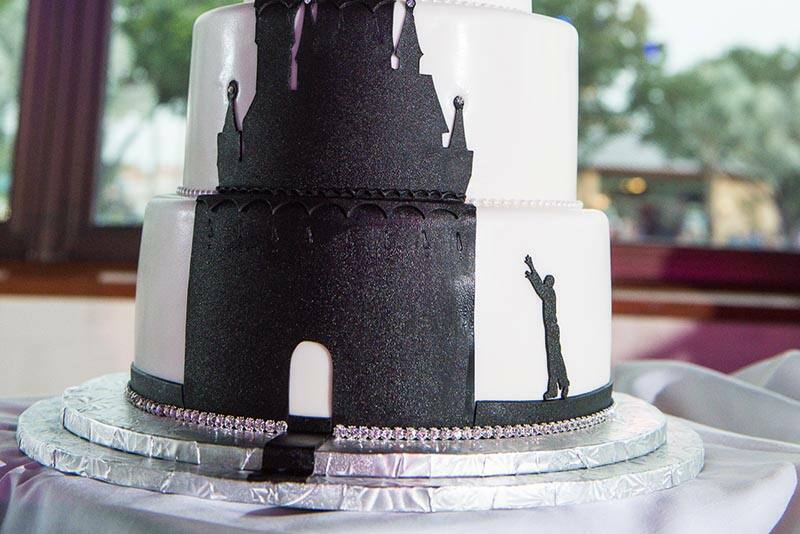 The couple choose to add a personal touch by incorporating their own silhouettes on to three tiered cake along with the iconic Cinderella Castle. 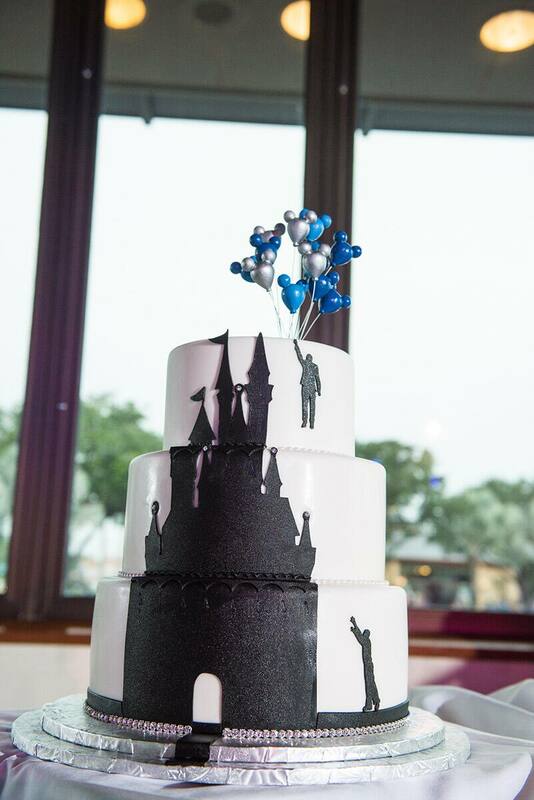 The Mickey Mouse balloon topper helps to tell the story and bring the entire cake together.